The Return is in the rearview window at UAB. Or is it? 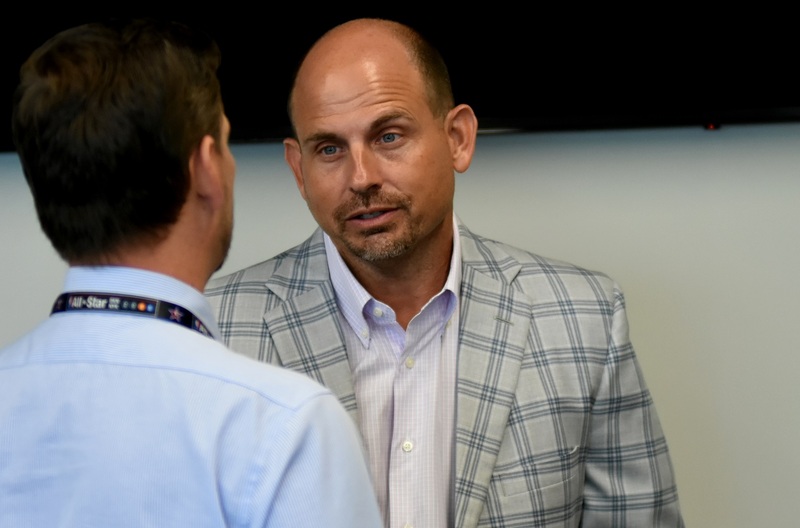 Do Bill Clark and his Blazers relish a return to being a “normal” team as they get set for their second campaign back from oblivion? Or do they look to keep the “welcome back” party going? 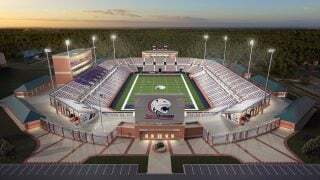 The Blazers have been in their Football Operation Building for a year. Legacy Pavilion is a far cry from the nondescript field on which they prepared in years past. The team on Birmingham’s Southside was the feel-good story of the 2017 season after the football, rifle and bowling programs were shut down in December 2014. #TheReturn was the rallying cry as the green and gold rose from the ashes like a phoenix. And they didn’t just rise. They flew. The University of Alabama at Birmingham set a program win record with eight victories to earn a trip to a bowl game for a storybook ending even Disney might not have crafted. The Blazers fell 41-6 to Ohio in the Bahamas Bowl to complete an 8-5 campaign. But the sting of that loss did little to take the luster from a glowing season in which so much was new. Not that the Blazers lacked confidence in 2017. After throwing 16 touchdowns and rushing for 13 more last year, Erdely is said to be slinging the ball all around the field in fall camp. He has command of Bryant Vincent’s offense and could be poised for another big year. Sophomore running back Spencer Brown burst onto the scene in 2017. 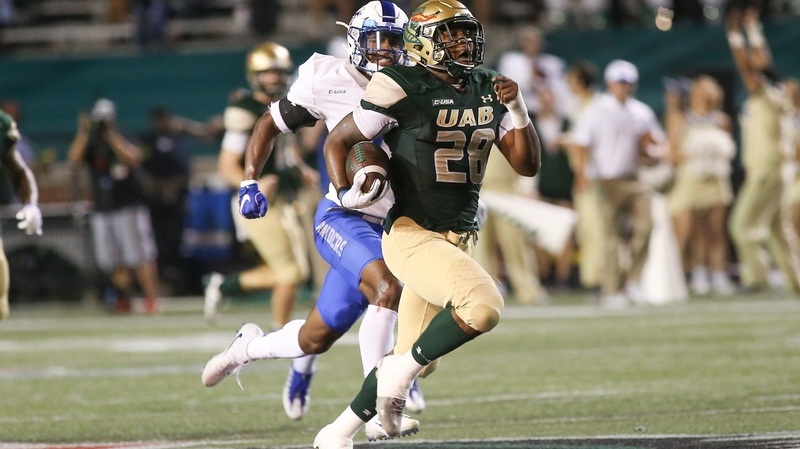 He rewrote the UAB record book in his rookie season to become the Blazers’ first-ever Football Writers Association of America Freshman All-America selection. The Mortimer Jordan High product ran for 1,329 yards and 10 touchdowns and was recognized as the Conference USA Freshman of the Year. He’s been named to the Walter Camp Award Watch List, an award that annually goes to the nation’s top collegiate player. That marked the fifth preseason selection for Brown, along with the Maxwell Award Watch List, the Doak Walker Award Watch List, the Preseason All-Conference USA Team and Bruce Feldman’s Freaks List. And, echoing Erdely, that job is to reach for the top. Clark starts his talk of his 2018 team with defense. With the Aug. 30 season-opener looming against Savannah State at Legion Field, Clark’s question for Year 2 of The Return is predictable. “Can we get better?” he asks. “Offensively, we knew we had a lot of room to improve. We weren’t terrible by any stretch of the imagination, but we want to get better. The 2018 campaign is markedly different from 2017. Few knew what to expect as the Blazers came back to the gridiron. Now opponents have them circled on the schedule. “We talk about earning the right to have people say good things about us,” Clark said. “We earned that right last year, but how do we take that next step and sustain it, and it’s just about work. It’s about how much we work, how much we want it, how much we come together, love each other and all of those things. Read 2018 football previews for Jacksonville State University, Miles College, the University of West Alabama and Birmingham-Southern College, and look for new football previews each weekday on Alabama NewsCenter.